What does that word bring to mind? Gathering for a family picnic on the Fourth of July? Losing a few pounds before you party with people you haven’t seen since high school graduation? Running into a former crush while you’re in your oldest sweats with no makeup on and standing in the line at the grocery store? Any of the above situations can make for a great story filled with peril…or promise. Who hasn’t heard about feuding cousins who buried the hatchet and became friends at a family reunion? Or the high-school sweethearts who found each other again—and tied the knot—after thirty years apart? 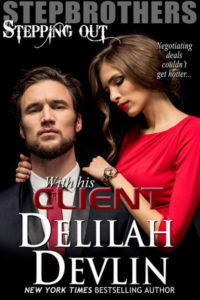 Romance novels often revolve around a reunion plot. I love that story line and include it in many of my books. Obviously, one of the most important elements of a story, especially a romance, is getting and keeping the main characters together in a believable, uncontrived way. A reunion is a great way to accomplish that. But this type of story is so much more than a ready plot device, a handy trope, a fallback for characters who need a quick and maybe cute intro. One of the things I love best about a reunion story is that it brings together characters who have a past in common. Just think of the possibilities in that: two people with a history together. Shared memories. Unresolved conflicts. Unforgiven and unforgivable hurts. If that’s not good material for a relationship story, I don’t know what is! In my opinion, a reunion plot makes for a richer, more complex story. It gives us a chance to see how two people who once walked away from each other can grow and change and improve. And best of all, it lets us see how those people who once made a mistake get a second chance. 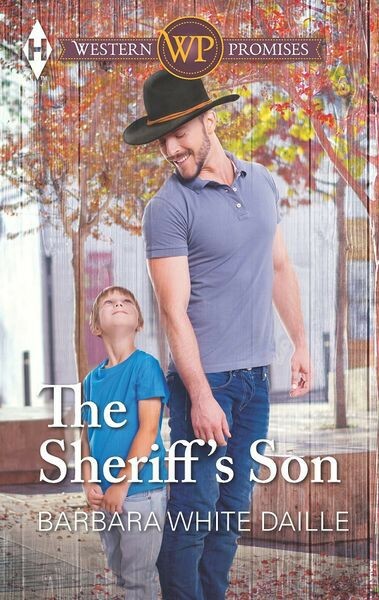 My first published book, The Sheriff’s Son, is being reissued in new formats today. (Info on that below.) Just for fun, I’ve included before-and-after covers with this post. If one more straw would snap the camel’s back, as Daddy used to say, then one more debt, one more unplanned doctor visit, one more call from Kevin’s school ought to bring down a whole herd of cattle. The thought of her son made Sarah sigh again. It was only a few weeks into the new school year, and in that short time, he’d given her more grief than in all seven years of his life combined. At the sound of the bell over the bookstore’s front door, she smoothed the loose curls escaping from her braid and, ran a hand over the front of her dress. Halfway through the office doorway, she froze. Her mouth hung open, the greeting she’d intended to call out shriveling on her tongue, sliding back down her throat, curdling in her stomach. Her “one more straw” had arrived. A man stood at the front of the store, framed between a pair of ceiling-height bookcases. Tanner Jones seemed to fill her vision, standing taller and more broad-shouldered than she ever remembered, but looking, unfortunately, all too familiar. Except for the deputy sheriff’s badge decorating his chest and the gun resting on his hip. A frown rumpled his brow and his hand gripped the back of a bright blue T-shirt, pulling up with just enough pressure to keep the boy inside the shirt dancing on tiptoe. A single mother’s worst nightmare. Doubled. The son she never wanted to see in trouble. The man she’d once loved. Once lost. And never wanted to see again. Hope you enjoyed the clip. I would love to hear your thoughts about reunion romances! I’m giving away one reader’s choice of an autographed print copy of this book in the original version or one of my available backlist titles. (US mailing addresses only, please). To get your name in the hat, share a reunion story—one of your own or of someone you know. Leave your comment by Friday, and a winner’s name will be posted in the comments over the weekend. Barbara White Daille lives with her husband in the sunny Southwest. Though they love the warm winters and the lizards in their front yard, they haven’t gotten used to the scorpions in the bathroom. Barbara’s new series, The Hitching Post Hotel, features a matchmaking grandpa determined to see his three granddaughters wed. The series began with The Cowboy’s Little Surprise, and the latest book is The Lawman’s Christmas Proposal (just released in December). Cowboy in Crisis will debut in July 2016, with other books in the series to follow. 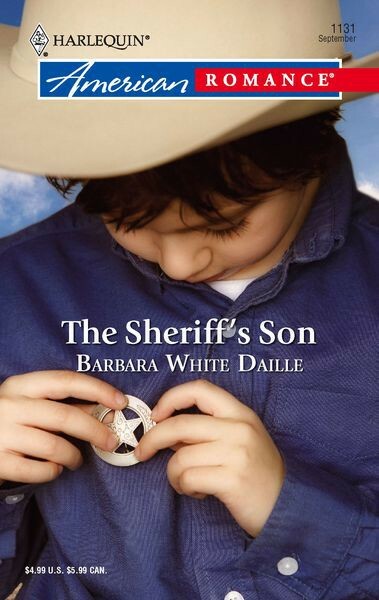 Her first book, The Sheriff’s Son, has been reissued (today! 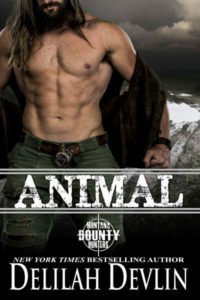 J ) in both larger print and a new e-book version, available exclusively from Harlequin: http://bit.ly/TSS-LP-HB. The original version is also still available at most major e-tailers, including Amazon: http://www.amzn.com/B00N79F94I. This entry was posted on Monday, February 1st, 2016 at 6:09 am in Contests!, General. You can feed this entry. Both comments and pings are currently closed. Good morning, readers! Hope you enjoyed the blog post and the peek at my first book. I’m looking forward to your thoughts about reunion romances AND your reunion stories. I’ll be in and out all week to comment, so let’s chat! I’m also sending out a very big THANK YOU to Delilah for inviting me back to hang out with y’all. I recently saw a man I once dated after not seeing him for over 2- years. It just was not who I remembered. But I am sure I am not either. Went to my high school reunion and saw the guy I had liked in high school. Wondered why I ever liked him. The best reunion story for me… was when my sister moved back to town with my first little nephew… she moved away suddenly with him and it broke my heart… but a year later she came back. Debra – that’s one thing about reunions – it lets us see how much people and places have changed, and not always for the better. It can be a good thing to have a relationship not work out. LOL Theresa! Sad to say, but I often wonder the same thing. Let’s hope they’re still not like that in their everyday lives. Colleen – aww, now, that’s a beautiful reunion. So glad they came back! Natasha – it’s hard to be that far away from family. Hugs. But how awesome that this is the year you’ll be able to see them again! Hope you have a wonderful reunion with them all. Aww…now, see, JJ, that’s the kind of reunion story that makes me a romance writer and reader! What a great happy ending for those two. 🙂 Thanks for sharing. Thanks to everyone who dropped by and left a comment and/or shared a reunion story. 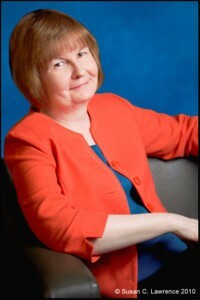 Linda, please get in touch with me through the Contact form at my website by Friday, Feb. 12. Thanks! Our family reunions where the best . My late Mama & her sisters organized & had a family reunion once a year for their family . They were all wonderful cooks & there was lots of delicious food prepared by them. But seeing all our cousins & other family was so much fun , we enjoyed just each other’s company & a unforgettable meal . Those were the best days ever ! What a great reunion story, Pamela. I could just picture myself at one of those gatherings.